Tofu is an excellent source of protein and is filled with calcium. This salad is ideal if you can’t eat dairy foods. 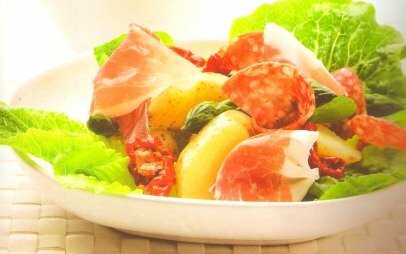 This recipe is one of the best salad recipes. This garden vegetable salad is very tasty and is low in fat. It contains a lot of protein and energy boosting nutrients such as iron, zinc and B vitamins. Directions- Add the beef to 1/3 of the combined dressing ingredients in a bowl. Cover and refrigerate for 10 minutes. Drain the beef and fry until browned. Pour some boiling water over noodles; leave it for 5 minutes and then drain. Heat the oil in a wok or a large frying pan. Limes contain a lot of vitamin C. This salad contains a lot of nutrients to promote strong hair and nails. This is one of my favorite vegetable salad recipes. Directions- Place the noodles in a large heatproof bowl, cover with boiling water and leave standing until the noodles are tender. Drain them when they’re tender. Rinse under cold water and drain. Grill the scallops in batches until they change color while brushing with the combined chilli sauce and 1 tbsp of lime juice. I knew I had to include this recipe because it’s one of my favorite vegetable salad recipes. It’s great to eat for lunch and contains a lot of iron and protein. Directions- Preheat oven to 220 degrees C/425 degrees F. Combine the potatoes and 2 tbsp of the oil in a large baking dish. Bake uncovered for 25 minutes. In the meantime, place the eggs in a medium-size saucepan, cover with water and bring to the boil. Simmer uncovered for 10 minutes and drain. Rinse the eggs under cold water, shell and cut into quarters. Cook the bacon with the remaining oil in a large, heated frying pan until crisp and drain on absorbent paper. This salad is light but filling at the same time. 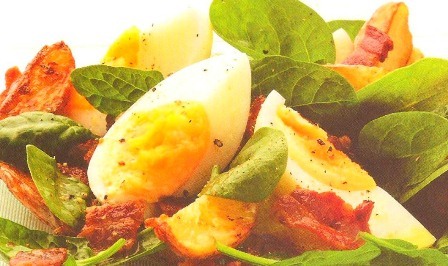 In my opinion this recipe is also one of the best vegetable salad recipes. It’s ideal for vegetarians and contains some cancer-fighting nutrients. The pine nuts help protect against heart disease and provide nutrients to the skin. Directions- Place the cheese in a large piece of foil, bring the sides of the foil up around the cheese and drizzle with 2 tbsp of the oil. Enclose the cheese in the foil. Place the parcel at one end of a shallow baking dish. Combine the tomatoes with 1 tbsp of the remaining oil in the same baking dish. This tasty vegetable salad includes apricots that are rich in beta carotene and other nutrients. It also gradually supplies your body with energy. This salad recipe is also one of the best vegetable salad recipes. Directions- Whisk the ingredients for the dressing in a bowl. Add the apricots and marinate for 30 minutes. In the meantime, cook the asparagus tips in a pan of boiling salted water for 5 minutes until tender. Drain and rinse under cold water. These vegetable salad recipes are easy and fun to try out. It’s nice to try out these vegetable salad recipes for lunch or dinner.